Romblon, an island province located at the center of the Philippine archipelago, has not always been the center of attraction for many tourists. It's no surprise because it wasn't always easy to get to. But in recent years, many tourists have discovered that this underrated province actually has beautiful beaches, diving spots, mountains, and many other scenic spots. It is also now considered to be an ecotourism destination in the country. 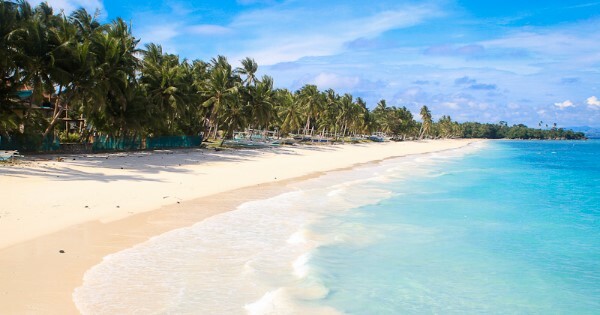 #1 - Boracay-like beaches: Revel in the beauty of the powdery white sands and crystal clear waters similar to Boracay's - minus the crowd - in many of Romblon's beaches. You can definitely find peace and solace that can't be found elsewhere. Carabao Island, Talipasak, Tiamban, Bonbon, and Tablas are just some of the few impeccable beaches in the province. #2 - Unspoiled underwater: No doubt, the charm that the Romblon beaches have encompasses the undersea. The Looc Bay Marine Sanctuary in the middle of Looc Bay is a home to hundreds of different marine species where you can swim, snorkel or feed fishes. Divers would also love to see the magnificent underwater paradise of Gorda Wall and the Philippines' only Blue Hole. #3 - World-class marble products: Dubbed as the "Marble Capital of the Philippines," Romblon is known for its flourishing marble industry not only locally, but globally as well. The island is a home to an abundant supply of different kinds of marble and the local craftsmen create intricate details in every product they make. Romblon Shopping Center is the best place to buy marble products, ranging from small to big items. #4 - Challenging climb: Mt. Guiting-Guiting, located at Sibuyan Island, Romblon, is probably an entry to every avid hiker's bucket list. One of the toughest mountain to hike in the country, it is not for the faint-hearted. The Knife's Edge, a steep rocky ridge, is what you need to surpass to get to the peak. Nevertheless, the spectacular view when you reach the summit is all worth it. #5 - Unique local food: A visit to Romblon is never complete without tasting its one-of-a-kind flavors. Dishes like sarsa, taghilaw, gayabon, and inaslum are just some of the yummy unique dishes you can only find at the local carinderias in the province. Also, aside from the usual freshly caught seafood, they also have sihi, a local edible shellfish.